Walking is probably the most comfortable form of exercising nowadays. It is very useful and everyone loves it once they try it and understand how to achieve the walking principles in order to lose weight. 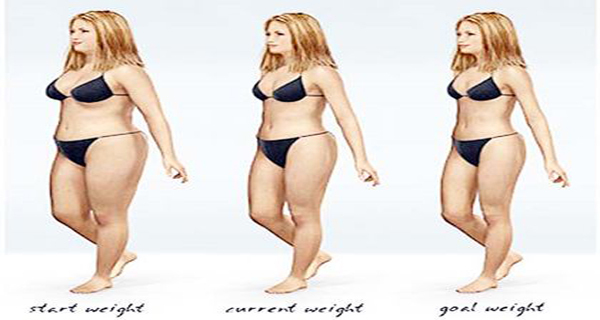 Namely, within 5 months of walking, you can lower more than 20 pounds only with walking and without visiting gym or putting yourself into specific diets. You can also shape up the muscles and improve your health while lowering weight and inches from the body. Is walking the miracle we were waiting for? So, let’s walk! There are two factors that affect the calories burnt while walking. These are the body weight and the walking place. For instance, you could burn 400 calories in an hour, if you are walking with an average speed of four miles an hour. Of course, you can moderate your program, you do not need to walk only four miles in just one day, but you may walk 3 extra miles and burn 300 calories plus that same day. Furthermore, you need to adapt walking with your daily activities, and you may walk even shorter distance. Pedometer can be of great help since it is going to assist you to burn many calories through walking and implementing your schedule. With time, you see that this is the most practical and easiest way to lower the weight without having any specific diet regimes. First of all, start with the stimulus and it will boost your chances for achieving the wanted results! The American Medical Association is recommending the usage of pedometer for more efficient and better weight loss control. Pedometer is supportive accessory with many beneficial properties, and you need to wear it very closely to the hip area, since it does not weight at all. One of its best advantages is that it can inform you how many steps you are taking during one day. Buy pedometer or some wrist band that will monitor your exercising per day and even the minor progress will push you forward to lower the weight through walking. If you are having more sophisticated pedometer you could check the number of the pounds that you’ve lowered and how many calories you’ve burned. This information will be very useful in order to get the exact picture of what you’ve achieved though walking. You should have 10 000 steps per day to lose 1 pound in 1 week. Change the routine and make it much more exciting. Invite a friend or a family member to make you accompany in the walks. Do not use the exact same track each day, it will become a boring routine. Try to walk in different areas, neighborhoods, parks or listen your favorite music, that will be great motivation and will give you more energy to rich the goal. buy treadmill and watch the favorite movie or TV program when you are walking, so the cold weather should not be a problem. Do not park the car on the certain destination, but park is somewhere close and walk the rest of the way. You could walk to your work and home, instead of using bus each time you are going out, or you could simply get off the bus on halfway destination. Walk with the children to their school. Walking desire can also depend on certain habits or routines that you develop in life. If you know how to walk, you’ll have optimum results from the walking. For instance, if you plan to walk as an exercise you need to concentrate the eyes 100 feet forward and hold the chin up, squeeze the glutes, and tighten the abdomen in the matching direction with the spine. Before starting with the daily walking routine, it is recommended that you ask your doctor of advice to tell you if you are strong and healthy enough for these activities and once the doctor approved you can start with your walking habit. At the beginning you need to walk three days per week for 15 to 20 minutes and afterwards, you will increase the time spent on walking from 30 to 60 minutes each day.